hayagreeva recipe | hayagriva maddi recipe | hayagriva sweet with detailed photo and video recipe. 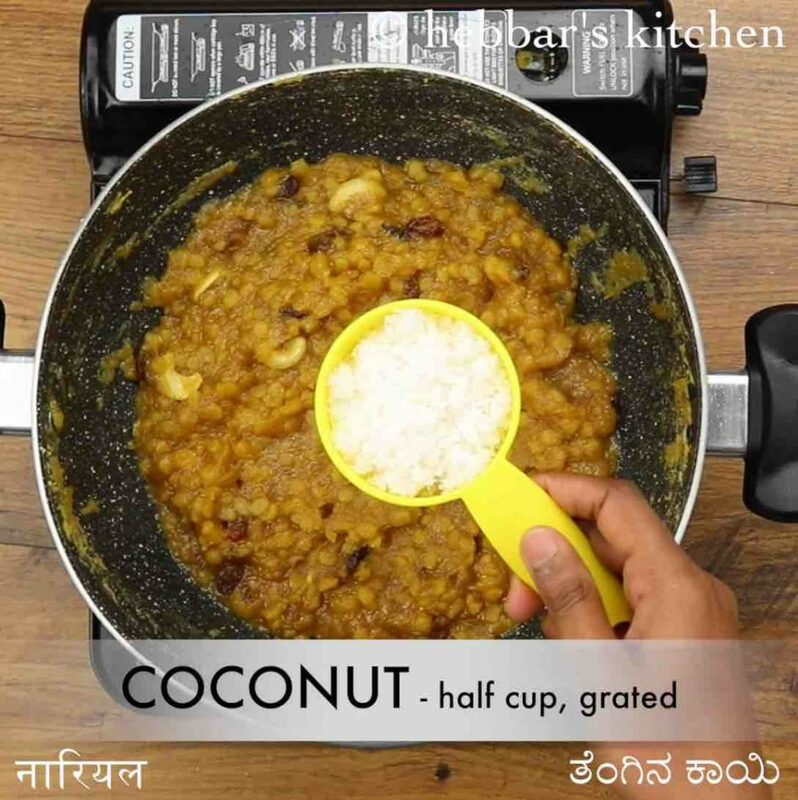 rich and traditional, classic dessert recipe made with chana dal, jaggery and fresh coconut. it is generally made for an occasions which is offered to god as nivedyam and eventually served as prasadam. it is one of the popular delicacy from the udupi cuisine, but also popular in tamil cuisine too. 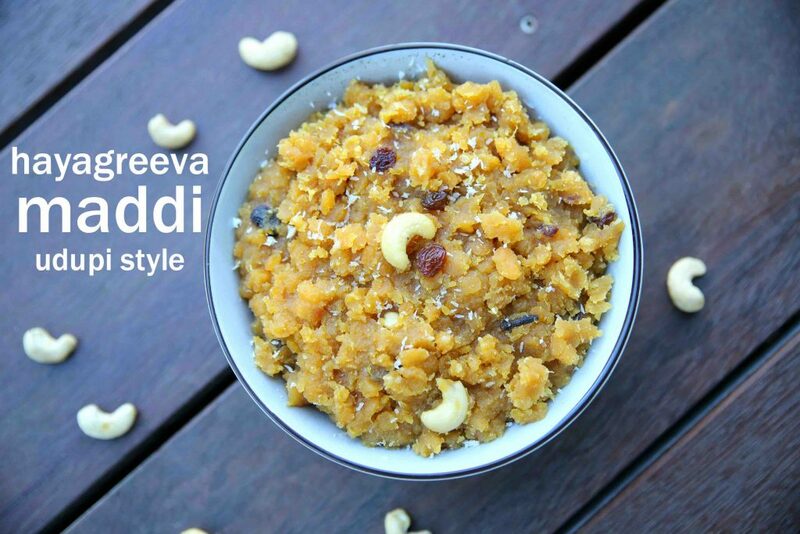 hayagreeva recipe | hayagriva maddi recipe | hayagriva sweet with step by step photo and video recipe. udupi cuisine is famous for its morning breakfast recipes to classic dessert recipes. in terms of dessert, most of the recipes are made with natively available ingredients. 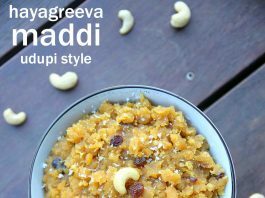 one such sweet recipe is hayagriva maddi recipe (made with chana dal and not a native to udupi though) made during celebration feast or as nivedyam. udupi is my native place and my hometown is known for its recipes and restaurants all over india and overseas. i have tried to cover most of the recipes in my blog, yet i have missed so many recipes to cover. hayagreeva recipe is one such recipe which i completely overlooked, even though it is a must recipe for most of the occasions and celebration feast. i realised only when i started to get recipe request for this, as the festival season is hitting very soon. furthermore, most of the recipe request were particular and wanted me to share the udupi version of hayagriva maddi. 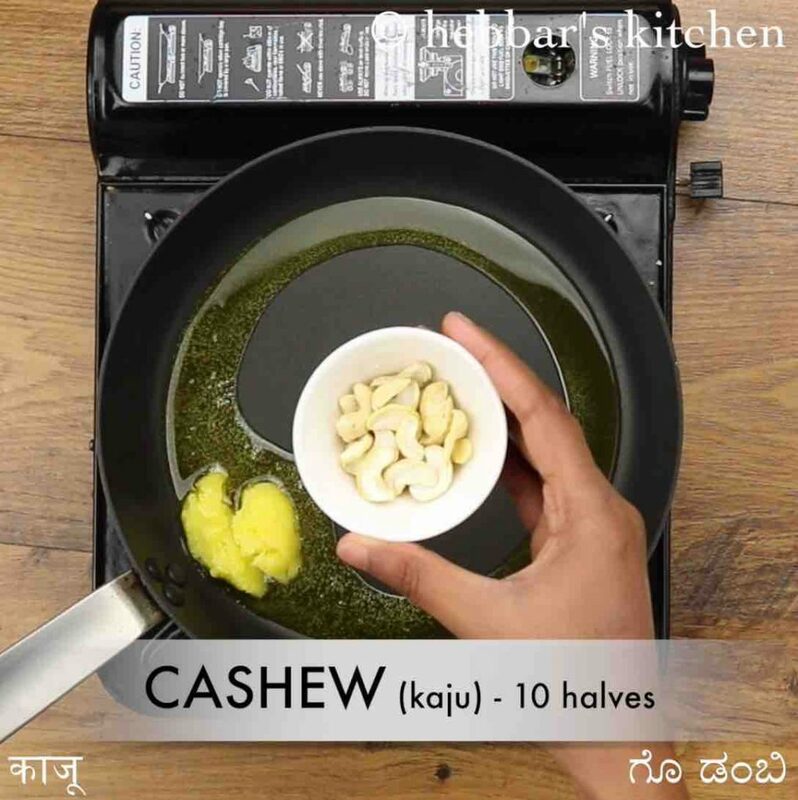 even though the recipe is native to udupi cuisine, there are several different versions to it. also, there are certain other recipes, where it is made with poppy and sesame seeds too. furthermore, i would like to limit this recipe to udupi version of hayagreeva recipe, and some tips and suggestions to it. firstly, in the udupi version of hayagriva sweet, jaggery the chana dal or kadle bele is not completely mashed. it has to be partially mashed and some of the lentils has to hold its shape even after it is cooked. secondly, the traditional recipe of maddi is always made with which is healthy and tasty. alternatively, for a quicker version you can use sugar which has gained a lot of popularity lately. finally, the sweet always to be served warm as the added ghee would be in liquid form and can be easily served. further, while serving add one tsp of ghee as topping for best result and flavour. 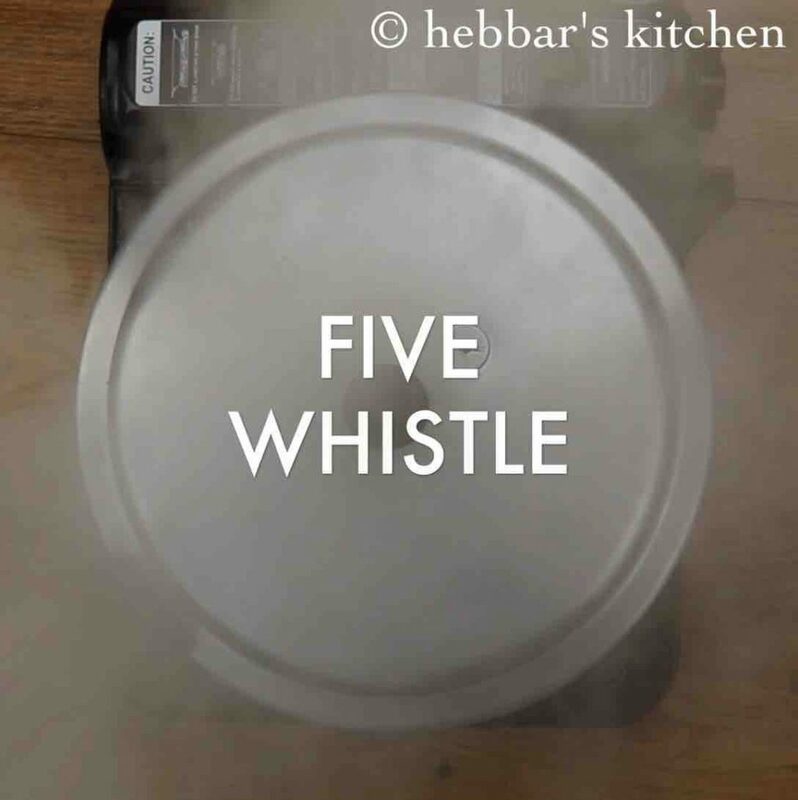 firstly, in a cooker pressure cook 1 cup chana dal with 3 cup of water for 5 whistles. 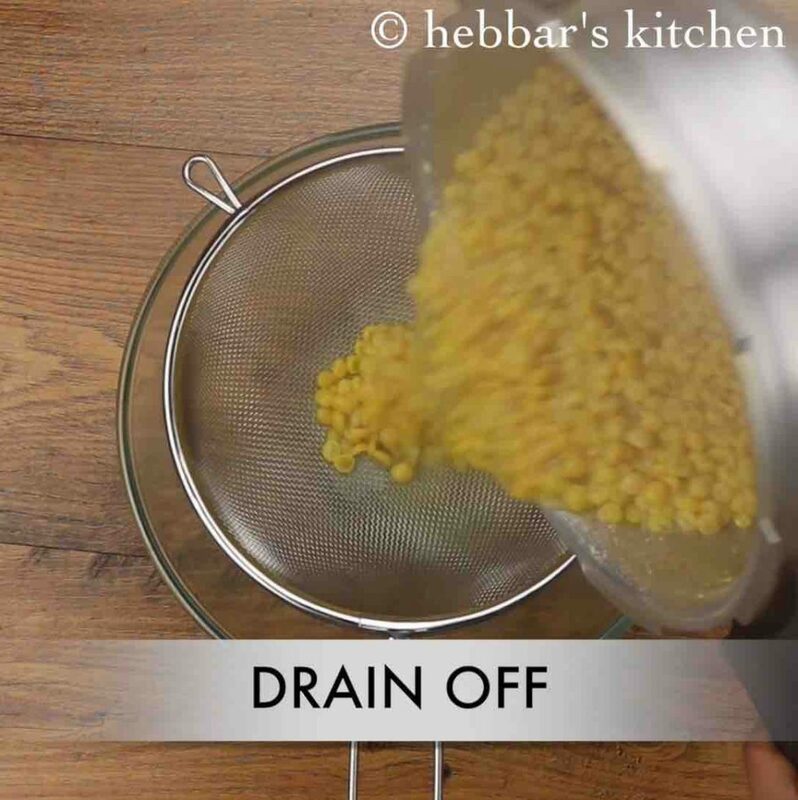 drain off the water from chana dal. you can use the leftover water to prepare rasam. take the cooked chana dal into large kadai. also add 1 cup jaggery, 4 cloves and begin to mix. mix until jaggery melts, keeping the flame on medium. continue to mix, until the jaggery melts and starts to thicken. 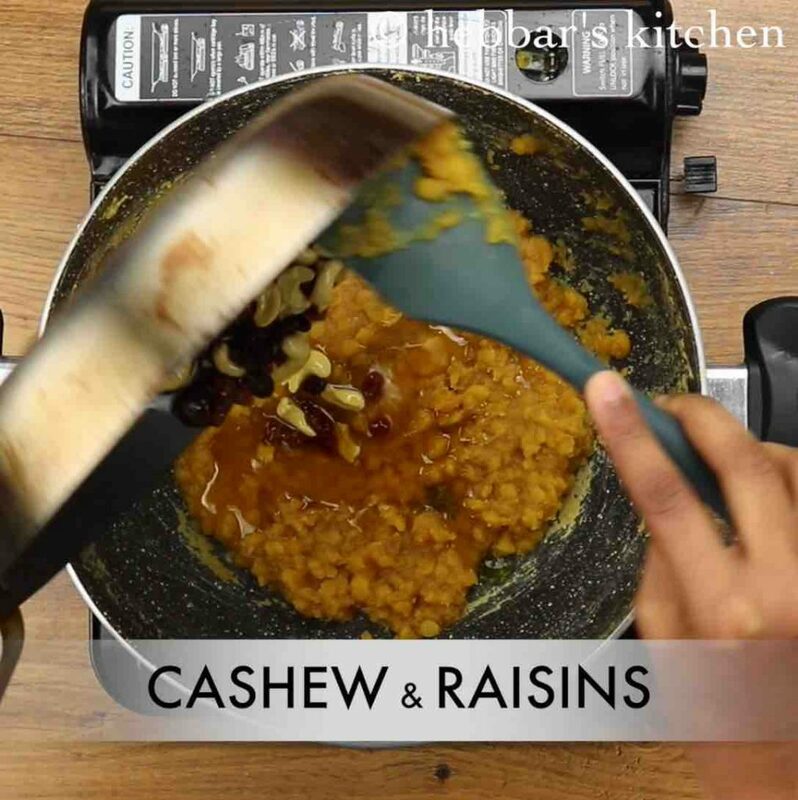 further in a pan heat 2 tbsp ghee and roast 10 cashew, 2 tsp raisins. 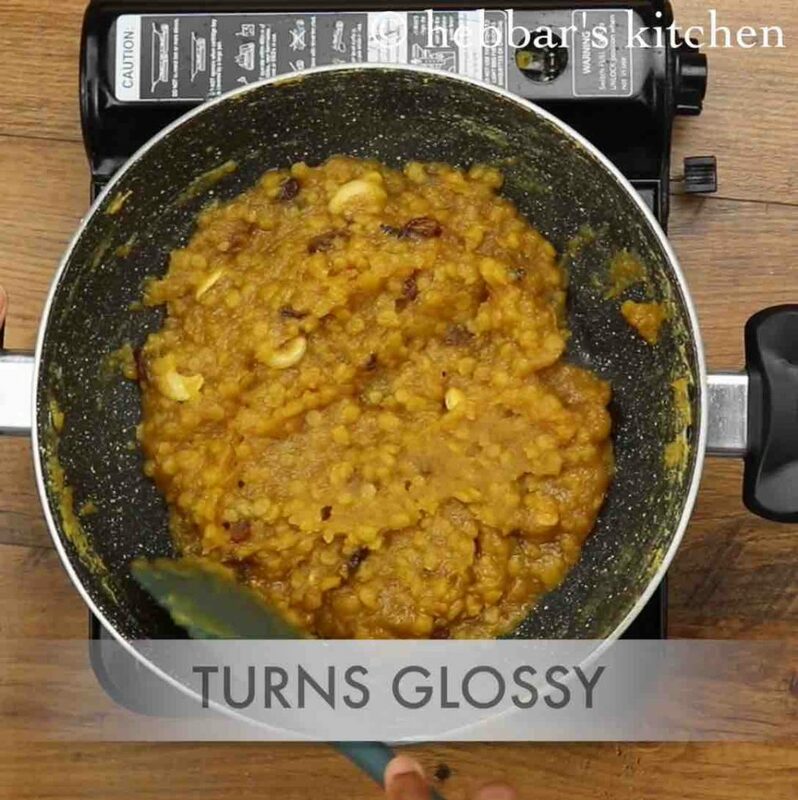 roast to a golden brown and pour it over chana dal - jaggery mixture. 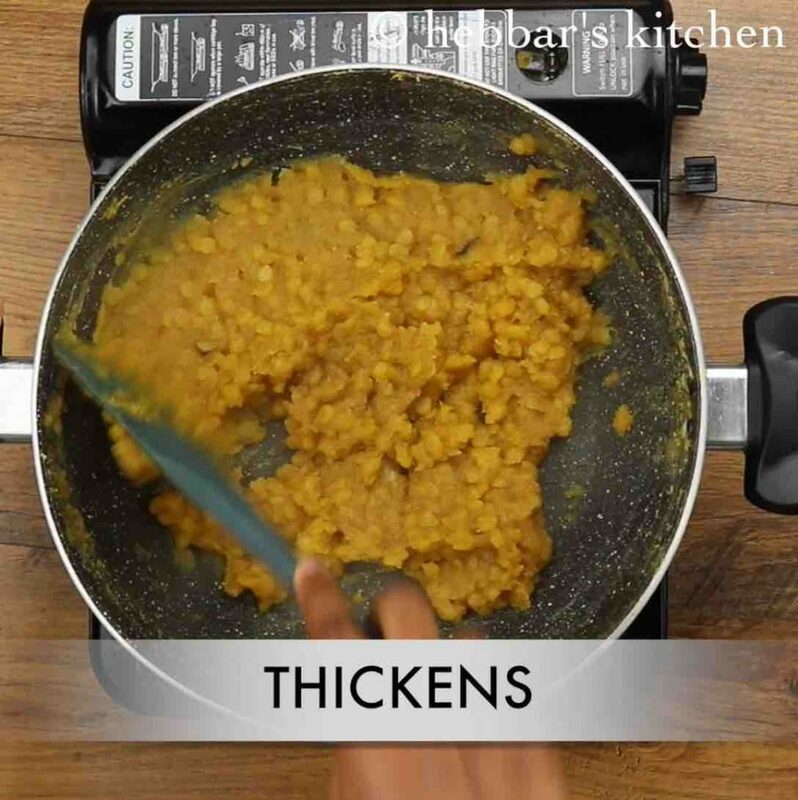 mix well, until the mixture turns silky smooth without mashing chana dal. now add ¼ tsp cardamom powder and ½ cup coconut. mix well. finally, serve hayagreeva maddi hot / warm or chilled. 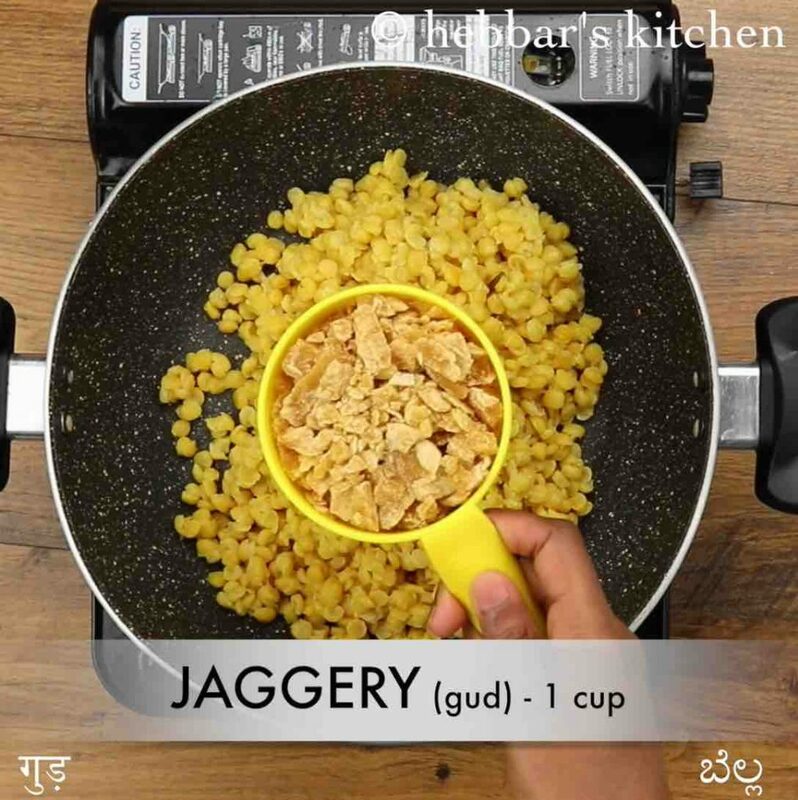 roast to a golden brown and pour it over chana dal – jaggery mixture. firstly, drain off the water from cooked chana dal, else it will take a long time to cook maddi. 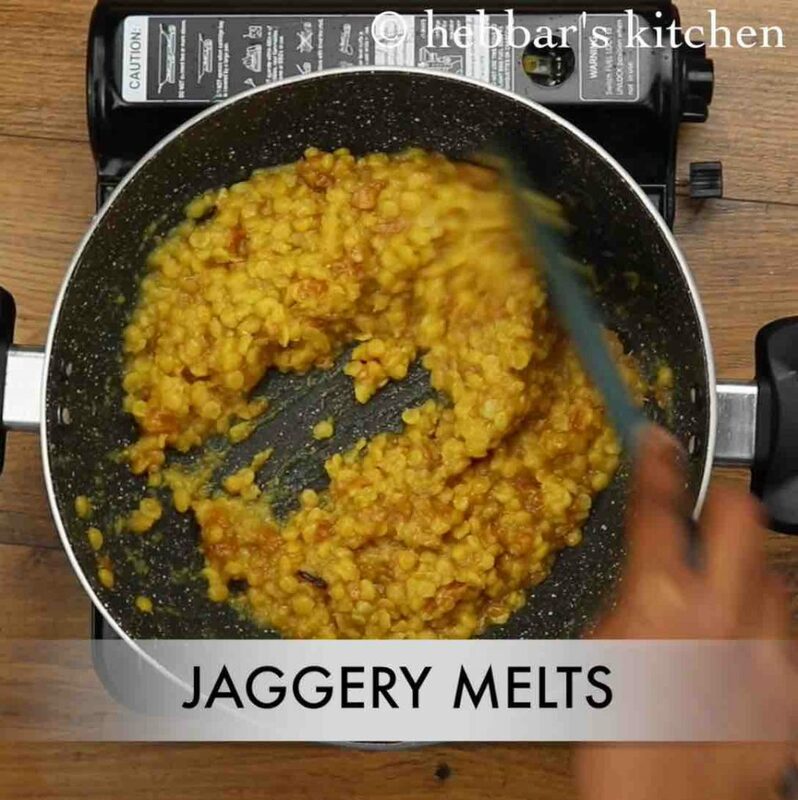 also, you can replace jaggery with sugar. 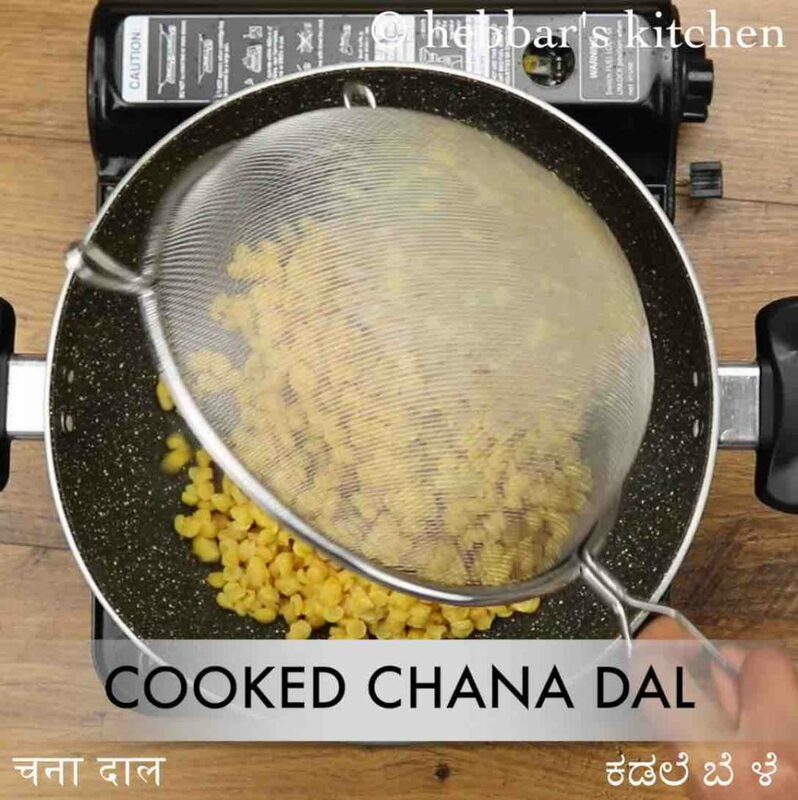 additionally, maddi served in udupi will usually have few whole chana dal, however, you can mash them if you do not prefer. 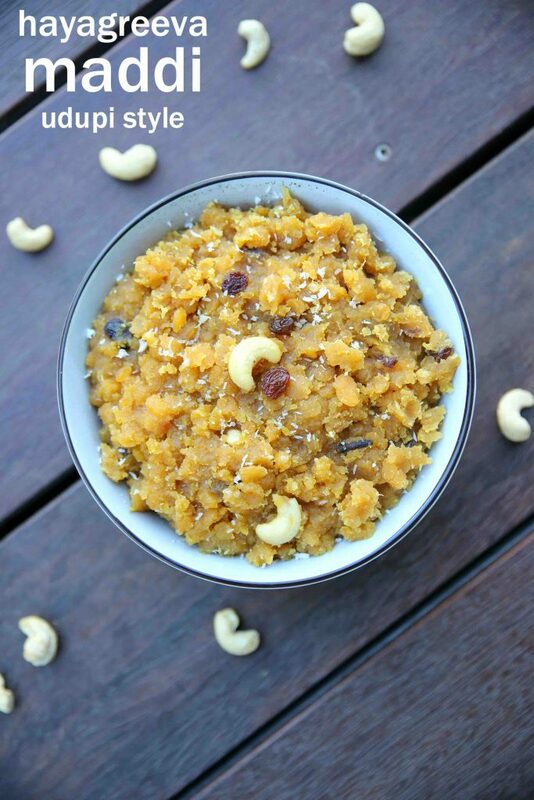 finally, chana dal halwa / hayagreeva maddi recipe stays good for 3-4 days when refrigerated.